Facebook is the greatest catalog of what people like and where people located in history. 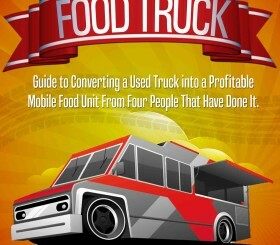 This video shows you how to take advantage of this opportunity for a food truck business. Find the number of people in your city that are interested in and like to eat at food trucks. A lot of people don’t believe in using Facebook ads because as with any form of advertising there is a cost associated with it. However, in this case the expense is extremely small. I’m usually able to run advertisements to a few thousand people for about $20. The return can be quite lucrative considering the low investment and high-level of targeting. 1.) Are located within 25 miles of San Diego. If you want your advertising budget to be worthwhile, you need to target a local audience. That’s step one. 2.) Combine the local element with someone’s interests or likes on Facebook. Some interests that are applicable to your business include people that like the following: Food Trucks, San Diego Food Truck, The Great Food Truck Race. Yes there are thousands of people that already enjoy these things on Facebook within a 25 mile radius of San Diego. I bet it wouldn’t take much for some of these folks to get excited about your brand. As with learning anything new, the first time you try out Facebook Ads it will likely be confusing. Realizing this is half the battle. If the training does not make sense the first time, go back and watch the video again. However, if you’ve got questions about this training don’t hesitate to post your questions on the Facebook page (Where else?). I’m usually able to respond within 24 – 48 hours. Also, if there’s anyone that has tried Facebook Ads for their own food truck let me know. I’d love to talk to you on the podcast. Advertise on Facebook – Many, many pages outlining Facebook advertising best practices.